A nurse aide in Mississippi performs important patient and long-term resident basic nursing care duties under the supervision of an RN or LPN. Individuals interested in becoming a Certified Nurse Aide in Mississippi need to meet state requirements for training and competency evaluation. The Mississippi State Department of Health (MSDOH) Bureau of Health Facilities Licensure and Certification is responsible for the approval and administration of statewide nursing assistant programs. The following information provides an explanation of the major steps individuals must take in order to successfully earn CNA certification and maintain active status in the Mississippi Nurse Aide Registry. Anyone interested in becoming a CNA in Mississippi should first review the different routes available to applicants. The best route depends on the status of the person. New Certified Nurse Aides must complete a state-approved nurse aide training program, but there are other routes available for out-of-state CNAs, nursing students and graduate nursing students, and foreign trained nurses. Mississippi has approved facility-based and non-facility based programs. Facility-based training programs refer to training programs students complete while working in an approved long-term facility. Per federal and state law, students can work as a paid employee for up to 120 days before earning certification as a nursing assistant. Non-facility based programs are offered at community colleges, vocational tech centers, job corps centers, career centers, junior colleges and other privately owned training facilities. Following is a summary of the various Mississippi routes or pathways to earn CNA certification in Mississippi. New nurse aide who trained in a Mississippi non-facility-based program or trained in a proprietary school or college – A person who completed a state-approved nurse aide training and has never been certified as a nurse aide must take and pass the competency evaluation examination. A new nurse aide who successfully completes a training program in a nursing home or long-term care facility (facility-based training) must take and pass the competency evaluation examination within 120 days from the hire date. Nursing students who have taken and passed the fundamentals of nursing or basic nursing skills course in a state-approved RN or LPN program within the prior 24 months can apply to take the nurse aide competency evaluation examination in Mississippi without additional training. Graduate nursing students who completed a state-approved RN or LPN program in the previous 24 months in Mississippi can also apply to take the competency evaluation examination without additional training. The foreign-trained nurse aide applicant must get permission from the Mississippi State Department of Health, Bureau of Health Facilities Licensure and Certification to take the examination. The nurse aide applicant must get permission from the Mississippi State Department of Health, Bureau of Health Facilities Licensure and Certification to take the examination. Mississippi will recognize out of state CNAs who are in good standing on the out of state nurse aide registry. The CNA submits a “Certification by Reciprocity” application to the Mississippi DOH. People who train in another state, but are not on the Registry in that state, are not allowed to take the Mississippi certification examination. Reciprocity is only possible when the person takes the test in the other state, gets their name placed on the out of state Registry and then applies for Reciprocity in Mississippi. 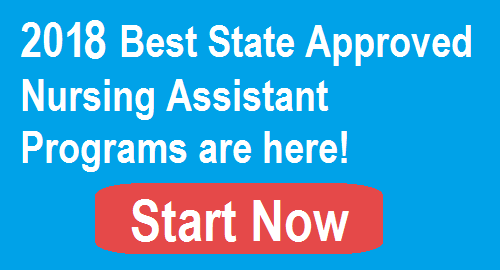 Those who must complete a CNA training program In Mississippi will begin by reviewing the schools that are best able to meet their needs in terms of location, program schedule and costs. There are approximately 119 state-approved CNA programs in Mississippi that are offered all over the state. Many students choose to attend a facility-based training program because they can start earning money for up to 120 days. The classroom and clinical training can take place in the same facility. Besides earning money while training, nursing homes and other federal and state funded long-term care facilities are required by law to pay for all the training costs. In addition, if a CNA is employed by a nursing home within 12 months of completing nurse aide training, the law requires the employer to reimburse the student for training costs. Students who choose to attend a non-facility program in Mississippi will attend classes at the school and clinical training in a nursing home or other type of long-term care facility. Typical training program costs include tuition and fees, uniforms, medical supplies, health exam and immunization expenses, and exam fees. Each school determines the class schedule and course fees, and they can vary. For example, at Holmes Community College in Grenada, the Nursing Assistant program takes one semester to complete, and tuition is $400 (subject to change) which includes a fingerprint criminal history check. There are additional expenses for books and supplies. Some students can qualify for financial aid through the Mississippi WIN Job Center. Another financial aid option is private scholarships. The Gulfport Job Corps Center offers a Nurse Assistant/Home Health Aide program which takes 8-12 months to complete. The Job Corps Center is funded by the federal government, so students can attend for free. These are just a few options available to students. There may be other prerequisites, depending on the school and/or program. Nurse aide training in Mississippi consists of a minimum of 75 hours of training which includes 16 hours of clinical time. Some CNA classes in Mississippi require more hours, but all CNA training programs are comprised of classroom, laboratory and clinical training. It can take anywhere from 2 weeks to a full semester to complete training, depending on the CNA program chosen. Activities of daily living – hygiene, nutrition, grooming, sleep, etc. Basic nursing – safety, infection control, data collection and reporting, etc. Psychosocial care skills – mental health, cultural needs, emotional needs, etc. It is important to attend only a state-approved nurse aide program because MSDOH as verified the curriculum meets federal training standards for individuals interested in working in a long-term care facility in Mississippi. New nurse aides must take and pass the National Nurse Aide Assessment Program (NNAAP) exam which is a competency evaluation examination. MSDOH chose to contract with Pearson VUE to manage the testing process which includes administration, scoring and reporting of results to the state Registry. In turn, Pearson VUE contracted with Credentia to provide the competency evaluation services in a number of states, and Mississippi is one of them. There are two parts to the CNA state exam. This part of the exam asks 70 multiple-choice questions. The questions are derived from the training program curriculum and are designed to evaluate the nurse aide’s knowledge of typical job duties. During the skills evaluation, individuals are asked to perform five nurse aide skills. The skills were taught during classroom, laboratory and clinical training. Handwashing is always one of the skills the individual is asked to perform. The other four skills are randomly selected from the set of skills mastered during training, but one will involve a measurement skill. Measurement skills include taking and recording blood pressure, urine output, pulse, weight or respiration. Individuals are allowed three attempts to pass both parts of the CNA certification exam in Mississippi. If anyone fails a part of the exam three times, the state requires retraining and retesting. Individuals must pass both parts of the exam within two years (24 months) of the date training was completed. Pearson VUE will notify the Mississippi Nurse Aide Registry after passing both parts of the competency evaluation examination. Once a person meets certification requirements and is listed on the Registry, he or she can use the title “Certified Nurse Aide” and seek employment as a CNA in the state. Individuals requesting reciprocity will also go through Pearson VUE by submitting a Reciprocity Application. If the application is denied, the applicant will have to take and pass the competency evaluation examination. Reciprocity applicants only get one attempt to pass both parts of the examination. Failing either part means the applicant must train in a Mississippi state-approved nurse aide program and retest. CNA Certification in Mississippi is effective for two years or 24 months from the issue date. To renew the certification, the individual needs to have worked as a paid nurse aide for at least eight hours in a health care facility or a nursing home. The eight hours of employment must occur within the 2-year certification period. The employer provides verification of employment during the certification period. There are certain types of jobs that do not meet recertification requirements. For example, the Certified Nurse Aide in Mississippi cannot claim employment as a private duty nurse aide or laboratory aide. Other ineligible employment includes as a personal care home residential living aide, doctor’s office nurse aide or personal care home assisted living aide. A Mississippi CNA who allows certification to lapse will need to retest in order to become active again on the state Registry. If the applicant fails either part of the two-part competency evaluation exam on the first try, it is necessary to retrain and retest.